Trendy Entertainment has finally announced Dungeon Defenders 2 and while there were some disappointments within the announcement, there are some really great things that Dungeon Defenders fans can look forward to. 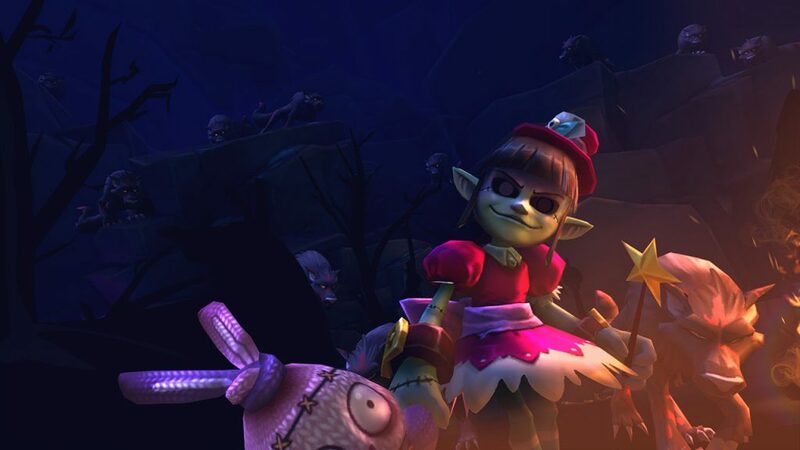 Trendy has included two different types of gameplay in Dungeon Defenders 2, cooperative and competitive, with the game being marketed as a MOBA, it will certainty focus on the competitive side of things. Do not be mistaken however, Dungeon Defenders 2 will have a bit of RPG aspects included within it, meaning that it is not completely copying other games, such as League of Legends. The competitive mode was definitely influenced by current MOBA’s (I and will play in much the same way as LoL. Players will compete in 5v5 matches and will have 24 heroes available at launch with more heroes being released shortly afterwards. There will only be one map for the competitive mode which can get a little repetitive, but honestly, I’ve probably put days worth of time into the same map on League and am not bored so far, so one map is fine! On the issue of “pay-to-win”, Trendy said that they are making the game as fair as possible by allowing all items and heroes to be unlocked for free after enough time and effort is put into the game. One of the best features of Dungeon Defenders was its adaption to almost all Mobile, PC and Console platforms. This will not be the case(at least to start with) for Dungeon Defenders 2. Trendy is only looking to release the game on platforms that allow for “consistent updates and cross-platform play.” Neither of these are featured in current consoles, therefore Dungeon Defenders 2 is only being guaranteed for PC, Mac, iOS, Android and Web. Trendy will try and expand the game onto other platforms such as the Xbox 720 and PS4 if they allow for the game to be cross-platform. Dungeon Defenders 2 will use a proprietary cross-platform game network called Playverse which will enable users to play the game on the same servers and across all supported devices. Dungeon Defenders 2 will come out in two parts, the competitive mode will be released first, with the cooperative mode coming out later. Competitive is already in a closed beta which you can sign-up for HERE and cooperative is likely to go into beta between the end of 2013 and early 2014. One of the best parts of Dungeon Defenders 2 is its price. Trendy is offering it as Free-To-Play in the exact same manner as League of Legends does. Players will be able to earn or purchase in-game currency for attaining items and heroes.